Inputs and Outputs – request a custom setup of the inputs and outputs. For example you can request certain inputs, pulse outputs, signal outputs, signal inputs. Use signal inputs to trigger certain sequences (these can be custom programmed – for example a fixed pre-programmed operation). If you need to use a certain type of input that is not present on the controller this could potentially be addressed using an additional plugin board. Speeds and basic control inputs – speed ranges can be modified to whatever you require. In addition, the inputs which control this can also be modified. Need a fixed speed? No problem. Want to run between 2 certain fixed points and only adjustment in between these two points? No problem either. Fault outputs – these can be setup as required. Communication protocols – these can be modified or customised as required. 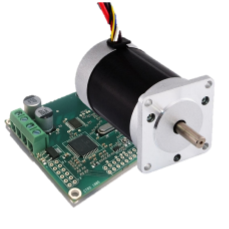 Current levels – on applications such as stepper motor applications these measurements can be fixed as required. Safety features – safety features such as over-temperature monitoring, current monitoring and stall detection can be setup. This can be achieved using external sensors or onboard measurements (where available). Presets – standard resets such as acceleration, deceleration and speed governing systems can all be custom setup as required by your application. It is hard to provide an exact answer to this without knowing the details of the specific programme that you require. However, we will always provide a clear quotation with guidance on each stage of the process. To give you an approximate idea, custom programming is charged at £25/hr to setup and the average custom setup will take approximately 4-8 hours to programme and test. Please remember that this is a one off charge only. Once your custom programme has been setup and approved (by all parties) then you will be assigned a unique part number for your motor controller and programme. 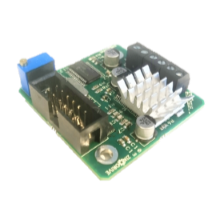 This will then enable you to purchase the motor controller you require at the same price as the standard stock prices. If you are looking at purchasing in volume and would like a quotation that includes these prices then please just ask. If you require especially high volume then we will consider carrying out custom programming work as part of a larger volume purchase order. Please get in touch with our team to discuss this. 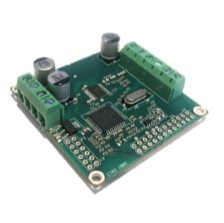 How do I get a custom programmed motor controller? Broadly speaking there are two basic options. The first is that you can get in touch with us directly, tell us what you’re looking for in a general sense and we can then advise on how best to achieve this. The second option is to use our online quote request form to tell us about what you need and the features that you are looking for and we can then get back to you with a quotation for the work. We have designed this form to prompt detail that you may not have thought of but if you do not know the answer to one of the questions then you can always leave this blank. As always, we really do encourage you to get in touch if you have any questions. We’re very happy to help and address any questions or concerns you may have prior to going ahead.